2018 will be an exciting year for the Fusiliers as it celebrates its 50th anniversary. To commemorate the occasion, there is a year-long programme of events to involve serving Fusiliers, veterans, their families and the general public. All the events and commemorations will take place under the umbrella of Fusilier 50. The Royal Regiment of Fusiliers is an infantry Regiment within the British Army and known generally as “The Fusiliers”. First Fusiliers (1 RRF) is based in Tidworth and Fifth Fusiliers (5 RRF) is a Reserve Battalion based in Newcastle. 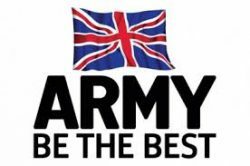 Both battalions can deploy highly motivated and trained soldiers who can adapt quickly to any challenging scenario. Since its formation in 1968, with initially four Regular and two Reserve Battalions, the Fusiliers have seen service across the world and found themselves in regions as diverse as Northern Ireland and Cyprus. More recently the Regiment served in the Balkans, the 1st and 2nd Gulf Wars and the Afghanistan campaign. The Regiment has four museums located at RHQ in the Tower of London, Warwick, Alnwick and Bury, each commemorating the area’s antecedent Regiment.